Between winter solstice and the lunar eclipse, one of the most star-studded parties Monday night was in the sky. Broadcast meteorologist Joe Rao of News 12 Westchester took a break from the cold weather outside at the Hayden Planetarium's Winter Solstice Telescope party to tell Niteside about when he started looking up and hasn't stopped since. “When I was five years old, back in 1961, my grandfather showed me a lunar eclipse,” said the TV astronomer. “He took me outside, showed me the moon as it went into the shadow of the Earth, and I was hooked at that point to astronomy.” He has seen 15 lunar eclipses since. No, Rao is not talking about a "Twilight" movie. For those of us who skipped that class in grade school, the lunar eclipse is when the moon is cast under the Earth's shadow from the sun. 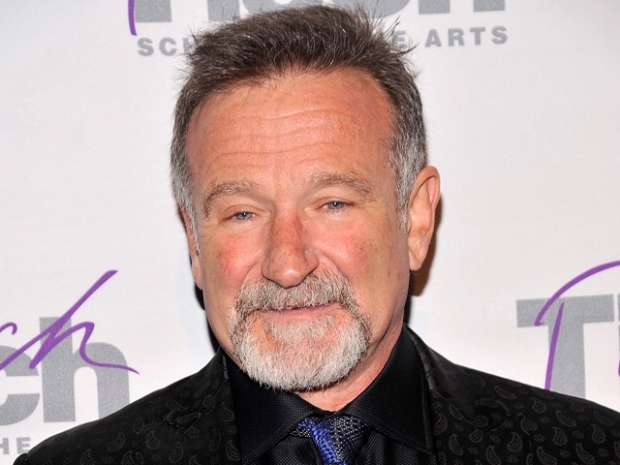 Robin Williams: I Witnessed Restaurateur Elaine Kick Out a Patron! Robin Williams, Jesse L. Martin, and Marcia Gay Harden paused on the red carpet at the Face of Tisch Gala at Lincoln Center's Rose Hall to remember the iconic Upper East Side restaurant's owner, Elaine Kaufman. She died Dec. 3. Rao, and Hayden Planetarium astronomers Steve Meyer and Ted Williams joined crowds of people, young and old, on the Arthur Ross Terrace of the American Museum of Natural History to celebrate the last day of Fall, sip hot chocolate, snack on moon pies and watch the moon through telescopes before the celestial phenomenon that occurred between 1:30 and 5 a.m. Even if stuck in their respective apartments Tuesday morning, New Yorkers had no excuse to miss out on this eclipse. On the red carpet to the "Megamind" premiere at AMC Lincoln Square Wednesday night, Brad Pitt spoke about Angelina Jolie's directorial for a film taking place during the Bosnian war and explained how the children of victims are participating in his leading lady's movie. But -- in case you did miss it -- the phenomenon included a dark shadow, starting with a little bit of red, creeping its way from left to right on the moon.